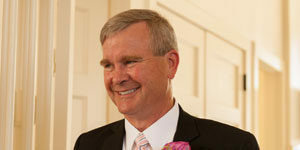 Blair Henningsgaard was admitted to the Oregon State Bar in 1978. He was born and raised in Astoria and has practiced law there since 1983. His practice includes wills and probate, real estate, bankruptcy, business law, government law and civil litigation. He has appeared in courts throughout Oregon as well as the Federal District Court and Oregon Bankruptcy Court. He has handled cases in the Oregon Court of Appeals, the Oregon Supreme Court, and in the 9th Circuit Court of Appeals. His goal is always to provide prompt, friendly and efficient service. Contact us for consultation regarding your legal problem. The county seat of Clatsop County, Astoria is a major economic and social hub for the Northwest corner of Oregon. Blair Henningsgaard's office is located in the Spexarth Building in downtown Astoria, across from the courthouse and post office. Operating hours are normal business hours.